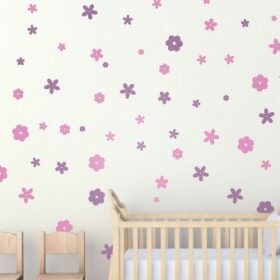 Set of 100 Flower Wall Stickers – Flower Wall Stickers – Childrens Room Decorating Ideas – Kids Room – Teen Room – Vinyl Wall Stickers. 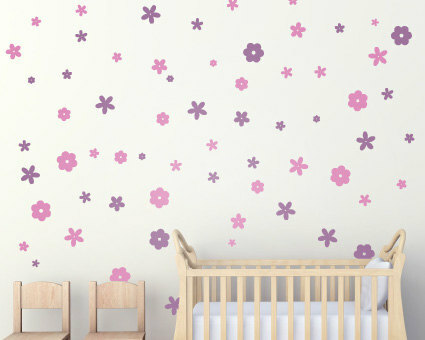 Set of 100 pretty flower wall stickers, perfect for children’s room. 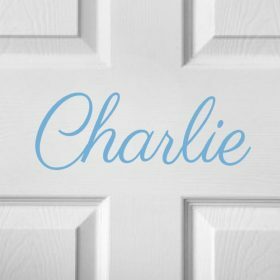 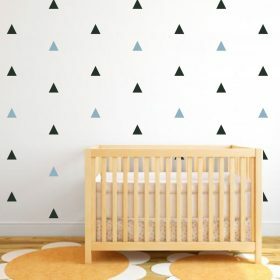 The ideal wall decor for girls room. 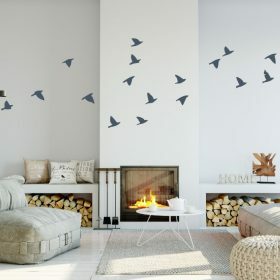 Can spread over a wall area to create a low cost way at making a room look pretty. Choose the colour of your flower wall stickers from the colours available in the colour chart image. 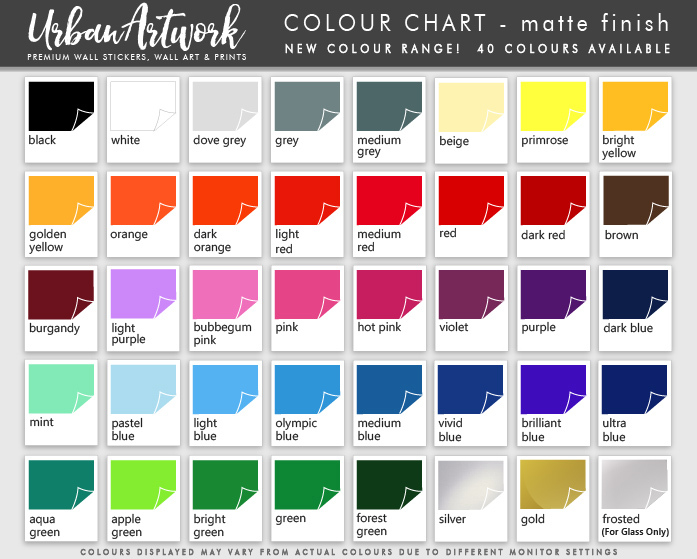 You can have them all the same colour or a mix of colours (max of 2 colour choice per order). 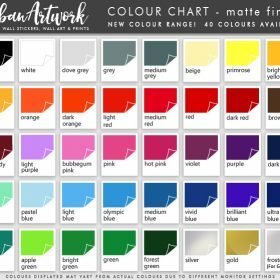 See our colour chart in the images above, please leave a note during checkout with your colour selection.